Formula is based on a 50%-50% fusion of high-quality milk proteins: our protein blend is half Whey Protein and half undenatured Micellar Casein. Time to stop has not yet come! There are unfinished business, which immediately await a logical conclusion. It's time to gain a confident victory. If someone is going to stop, then not you! You have only one way - to confidently and persistently go to the end, to victory, winning more and more centimeters of the desired volume of muscles. You are definitely confident that you are capable of much, since from now on you have reliable "armored vehicles", a real "tank" that will pave you a confident path to victory, to a "cloudless" result! Do not exchange for a scanty result, everything that you have planned is real and even more. The perfect result will not take long to wait, and you will loudly celebrate the absolute success! Your personal "tank" is ready for war. He confidently takes a course to immediately destroy the mass of obstacles - weakness, exhaustion, fatigue, to ridiculously small, unsatisfactory result. And you, together with him, in tandem, are ready to win again and again. 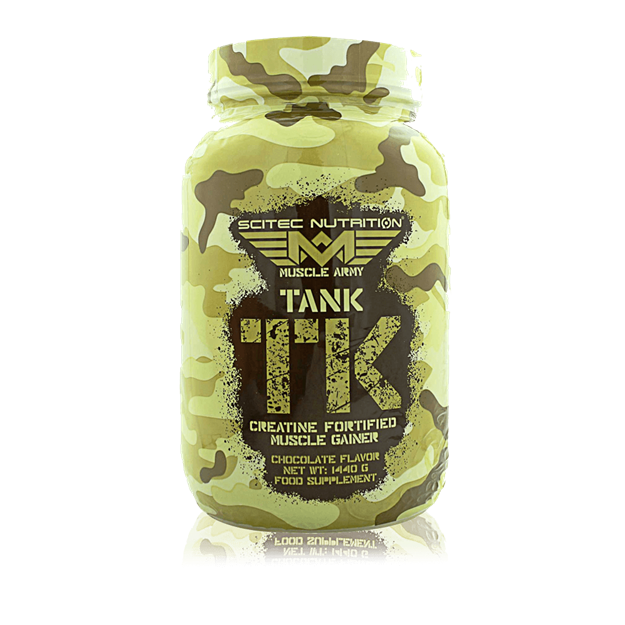 Impeccable Tank gunker from a well-known manufacturer who has long won the popularity and unanimous recognition of sports fans in the world of sports nutrition, MUSCLE ARMY (Scitec Nutrition) is always two "heads above" such competitor products. His surprisingly active and incredibly effective formula "50 to 50" consists of an advantageous, biologically valuable combination of protein obtained from premium whey and natural micellar casein. Such a successful "tandem" gives a high-quality protein matrix of balance, versatility and completeness. Thanks to a powerful protein mixture, Tank will immediately bring you to the "finish line", help to increase your result in the hall. Radically new, incredible, immediate results - the MUSCLE ARMY geezer challenges your muscles, And they begin to "try", gaining more and more volume. As a result - an excellent anabolic effect, a real increase in physical indicators. Check yourself for what this powerful sports "armored car" is capable of! In addition to the two main components of the excellent protein complex, the "design" of the heiner is enhanced by a special component - micronTec finely ground creatine monohydrate, whose action is directed at the intensive performance of short exercises (lifting weights, active aerobics). The composition of this magnificent sports complex is also pleasantly supplemented with a beneficial dose of L-arginine (a precursor of nitric oxide) and also a good portion of vitamin C, that is, a professional team of specialists from MUSCLE ARMY did everything possible to prevent muscle growth stopping, and you - to get out of the way . High activity and proven, proven effectiveness of each component favorably affects the transformation of the musculature in the right direction, and you will soon be able to "reap the harvest" of the works. • optimally raises the athlete's physical performance. Allow a powerful "tank" to go to the "battlefield" for an ideal, sculptural body. This extra-powerful "armored car" will mercilessly "break down" the weakness of fatigue and the desire to "slough" off the training, as the magnificent result you have longed for is just around the corner. And now everything is only in your hands. From now on only you control your body and its capabilities. High-grade geyner surely reliably supports you and becomes a real panacea from the opportunity to get a scanty result in the hall. Therefore do not hesitate, hurry up and buy Scitec Nutrition MUSCLE ARMY Tank 1440 g, win, finally, an absolute victory and get it to hold! Serious Mass is the ultimate in weight gain formulas. With 1,250 calories per serving and 50 grams of protein for muscle recovery support, this instantized powder makes the ideal post-workout and between meals shake for sizing up your goals. 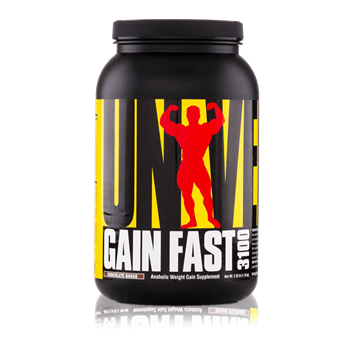 Gain Fast comes enhanced with muscle boosters, performance factors, natural plant sterols, EFAs, digestive enzymes, and muscle optimizers. The Perfect Muscle Building Macrobolic Nutrition Formula.